For more than a decade, physicians and hospitals throughout the United States have been pushed to align their objectives. Traditionally, this goal has been approached from a financial perspective, but that strategy has proven to be less than optimal in many ways, especially when it comes to relationships with patients. An alignment strategy that focuses on value-based care instead of just revenue and profits is likely to produce much better results for physicians, providers, and patients. An important aspect of this new alignment strategy is for the parties involved to not get fatigued in the effort. When data and analytics are used to track success, professionals involved with the transition feel much more invested in the changes they are making and earn a sense of accomplishment as care improves. Research even suggests that providers who participate in value-based care programs increase their market share. When going through the realignment process, a few important factors should be considered. Lack of access to care is a problem that frustrates both providers and patients. Lack of updated technology, restrictive payer polices, and outdated procedures can all prevent doctors from delivering the care their patients truly need. In a value-based approach to physician alignment, these barriers would be reduced or eliminated. More and more patients are responsible for paying their own healthcare bills directly, so treating them like consumers and patients at the same time may be one of the keys to removing these barriers. A big part of value-based care involves reaching out to local providers to build strategic partnerships. Patients receive care from a variety of different primary care offices and specialists, and coordinating efforts between these providers is a key to success. This can be done through centers of excellence programs or destination of care centers. There, objectives can be aligned so that the entire community is involved with improving outcomes for patients. Organizations that bring in outside experts to analyze the highest needs in the local healthcare market may be able to find new advantageous payment models. CMS offers a wide range of Alternative Payment Methods (APMs) that are designed to improve quality of care for patients and increase revenue for the providers delivering that care. Even if a provider's current APM turns out to be optimal, the transparency involved in the discussions could lead to numerous positive changes. 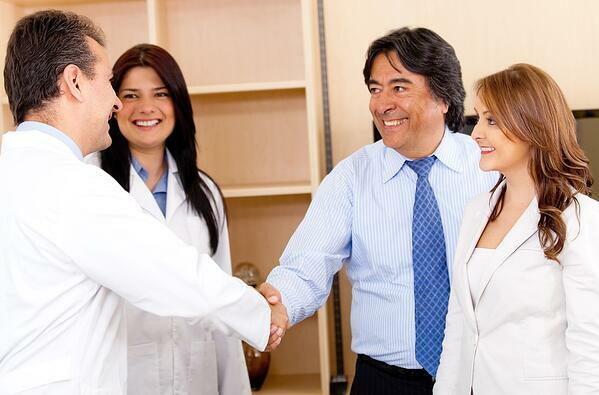 An open discussion among physicians, hospitals, and other care givers helps everyone align their objectives. After a new APM is chosen, it's crucial to make sure the provider is prepared to succeed within its framework. This can require a lot of training, documentation, and new software. While some organizations will decide to take on these duties themselves, forming partnerships with experts in APM structures is often the optimal way to move forward. Outsourcing enhances value-based care by guiding providers in the right direction while increasing revenues and communicating openly and honestly with patients.